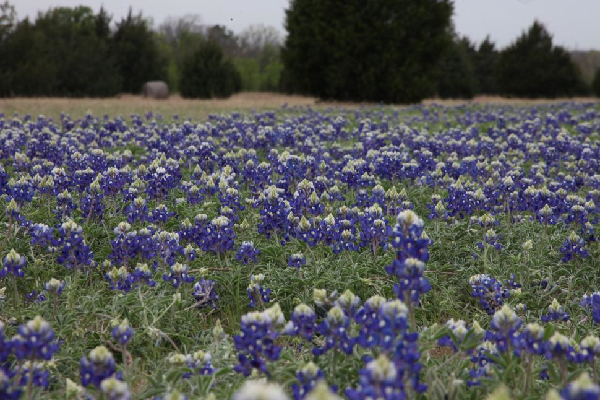 An indigo hue of bluebonnets is overtaking the freshly green grass, leaves are excitedly bursting forth in droves from every tree, and exuberant song birds grace the morning air with their melodies; with a sigh and a warm breeze, Spring has arrived in Texas. Thoughts stray to picnics in the park, caressed by a sweet breeze, and days spent mostly outdoors while the air strikes a balance between crisp and torrid. Even the rains weaving their way through the weeks bring with them the fresh scent of spring and the promise of life renewed. It’s no wonder then that this season has been appointed as the perfect time to rejuvenate our homes for the year ahead. Yes, it’s time for Spring cleaning. The tradition of Spring cleaning has been around for thousands of years in one form or another in a wide array of cultures and practices, and has persisted in the general United States population, in part, due to its practicality. Imagine cleaning your home during the short days of winter when natural light is at a premium, or during the long, hot summer, when an open window will let in nothing but bugs and a stifling humidity instead of a fresh, cleansing breeze. So we persist in the yearly ritual, knowing that in the end we will be free of the clutter accumulated over the past year, and able to sit contentedly sipping coffee in a house with not a dust bunny or cobweb to be found. 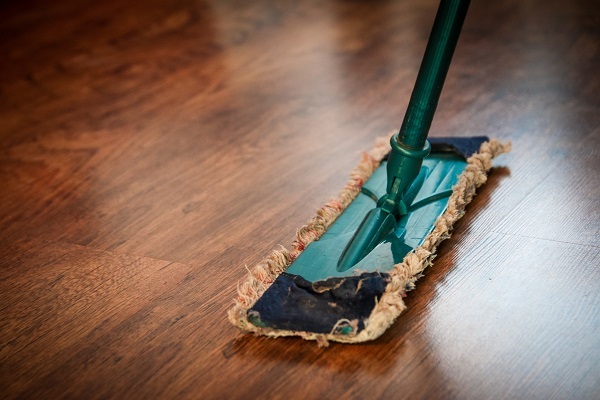 In the maelstrom of cleaning, organizing, and dissecting every room in the house, it would be remarkably easy to gloss over the occasional oddity; for example, a small pile of sawdust on a windowsill or at the floor. With nothing else seeming out of the ordinary in the area, and the mess removed, it may appear that the job is done and your house is ready for summer. But after just a few short days of satisfaction with the spotlessness, you will almost certainly notice that the same pile of sawdust has re-appeared, and brought with it a bevy of concerns about its origin. 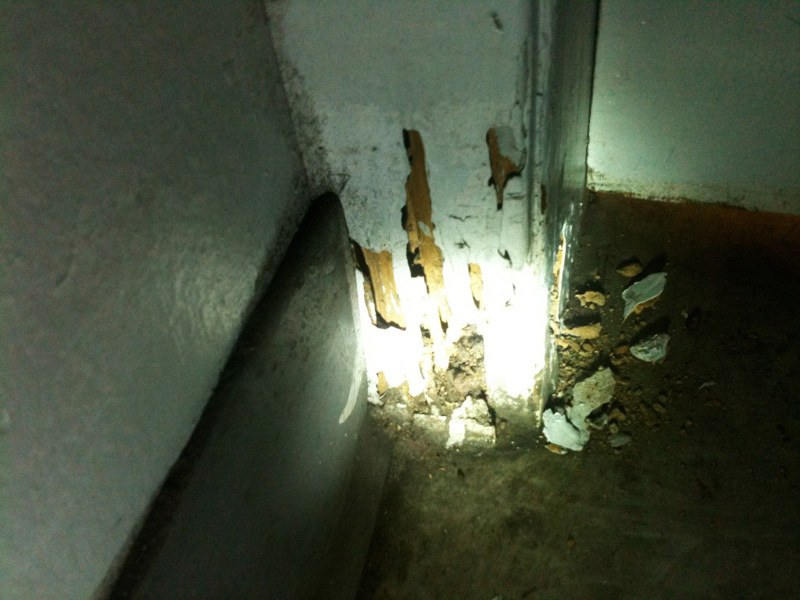 Perhaps the first thought that will rise up is fear that termites have invaded your home. After all, termites do billions of dollars in damage each year, are most active in Spring, and it’s even been said that if you live in Texas it’s not a matter of if you will get termites, it’s a matter of when, so naturally when a wood-destroying pest is envisioned, it’s their spectre that appears. But termites leave distinctive footprints, and these piles of sawdust, otherwise known as frass, are not among them (to find out what does signal a termite problem, check out our next blog all about termites). Frass in this context is an almost certain signifier that carpenter ants have taken residence in your home. Carpenter ants are one of the largest ants you are likely to see in your home, they range in size up to 3/4 inch (compare this to the fire ant which is about a third the size), are generally red, black, or red and black, and prefer to make their nests in moist wood. Parent colonies are thus generally found outdoors where sources of moist wood (rotting trees, tree roots, tree stumps, and boards or logs lying on the ground) are prolific. The satellite colonies, which are never too far from the parent colony, are often found indoors in areas exposed to water leaks, condensation or poor air circulation, such as bathrooms, kitchens, attics, wall voids, and doors. These indoor colonies house workers, pupae and mature larvae; their primary function is to help grow the ant population, which is why when Spring arrives, winged reproductive ant swarmers will be found leaving the nest in search of new locations to populate. It’s important to note the difference between ant swarmers and termite swarmers, as both are seen in Spring and both are often found dead near windowsills, attempting to get out into the world and create new colonies. 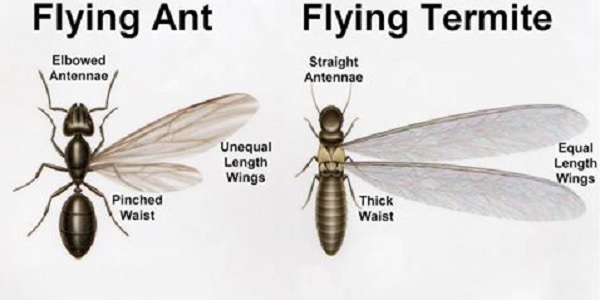 There are two easy ways to distinguish between the swarmers; first, termite swarmers have wings much longer than their body, and second, ant swarmers have a distinctly segmented body. Either way, if you are seeing swarmers inside, that means it is time to call a professional for help as there is almost certainly a nest in your home, and the sooner it’s eliminated, the less damage will be done. Carpenter ants, though less damaging than termites, are still more than capable of causing structural damage to your home. Once a nest moves in it will almost immediately begin to carve away at whatever wood it has infested, excavating tunnels and galleries to live in. 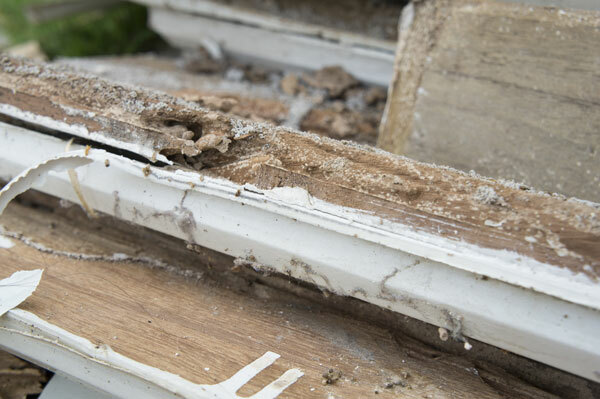 This process is what creates the frass found within your home, as the carpenter ants push the excavated wood out of their nests, keeping their living space clean, even as they mess up your freshly tidied rooms. Unlike termites, carpenter ants do not eat the wood, they merely nest in it, and prefer a diet of protein and sugar (like the meats, pet food, honey, and sweets kept in most homes). 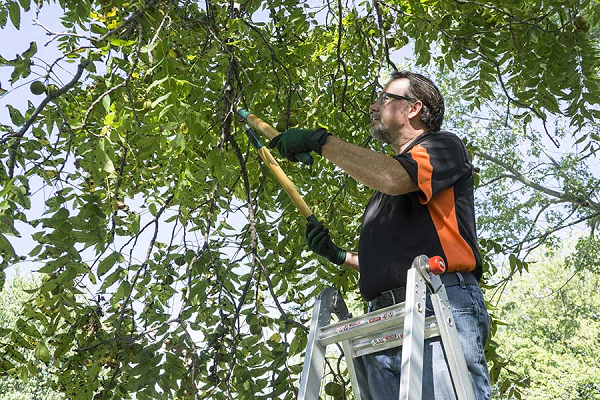 Their major damage comes from colonies that grow too large, or if they find their way into support beams and other structural wood areas, which is why it is so important to call for help as soon as a problem is spotted; early detection is key to keeping your home beautiful and sound for decades to come. Though it might feel as though carpenter ants have thwarted all the hard work put into Spring cleaning, the piles of frass besmirching your immaculate house are actually a boon for early treatment, a sort of warning signal for you to call a professional to keep your home as impeccable structurally as it is internally. In their own way, the carpenter ants doing their house cleaning will have led you to doing an even more thorough Spring clean than you had even known was necessary. And when all the treatment is done, the preventative measures implemented, and the remnant frass swept away, it will finally be time for that cup of coffee and a contented sigh at a Spring well begun.